Jaeger-LeCoultre can trace its origins back to 1833 when Antoine LeCoultre founded his first watchmaking workshop after inventing a machine to produce watchmaking pinions. This marked the birth of a horological grandee whose name is revered by watch collectors around the globe. In 1866, Antoine LeCoultre along with his son Elie opened the first Manufacture in the Vallée de Joux. Manufacture is a term used to describe a watch company with the ability to produce its own watch movements. The region was and still is, steeped in watchmaking tradition with the production of movement parts often taking place in a myriad of small hillside ateliers. LeCoultre chose to house these various skills under one roof. In 1903, Jaques David LeCoultre joined forces with the Parisian watchmaker Edmond Jaeger. The business relationship blended Swiss watchmaking prowess with a notable air of French elegance. In the past, Jaeger-LeCoultre supplied movements to an array of other prestigious maisons and continues to be held in high esteem for its innovation, craftsmanship and technical expertise. This practitioner of Haute Horlogerie is based in Le Sentier in the Vallée du Joux, not far from Audemars Piguet. Indeed, the two companies in the past, when Jaeger-LeCoultre was privately owned, enjoyed a close working relationship. Today, Jaeger-LeCoultre is part of the large Swiss luxury group, Richemont SA. A key strength of Jaeger-LeCoultre is its ability to innovate. The company has 398 patents to its name, albeit with this number growing each year, there is an intrinsic obsolescence to any figure provided. Moreover, the brand has produced 1231 mechanical movements at the time of writing. Jaeger-LeCoultre has a diverse array of models from simple to complicated, from sports to dress watches. Furthermore, it has delivered a plethora of models to appeal to both male and female clientele. Specialities of the brand include complicated watches such as minute repeaters and tourbillons, together with ultra-thin watches. Another model which illustrates the innovation of Jaeger-LeCoultre is the Memovox Deep Sea. Created in 1959, this was the first automatic diver’s watch equipped with a mechanical alarm. Whilst many diver’s watches rely solely on a unidirectional bezel to remind the wearer when to ascend to the surface, this model has an audible alarm as an additional aide mémoire. The incorporation of an alarm makes much sense, as sound in water travels significantly faster than in air, making the ringing of the alarm more noticeable. In 2012, Jaeger-LeCoultre produced its Memovox Tribute to Deep Sea, capturing much of the design language of the 1959 original. This modern-day interpretation was produced in a limited series of 959 stainless steel pieces and featured “Tropic” coloured hour markers that granted a nostalgic feel. 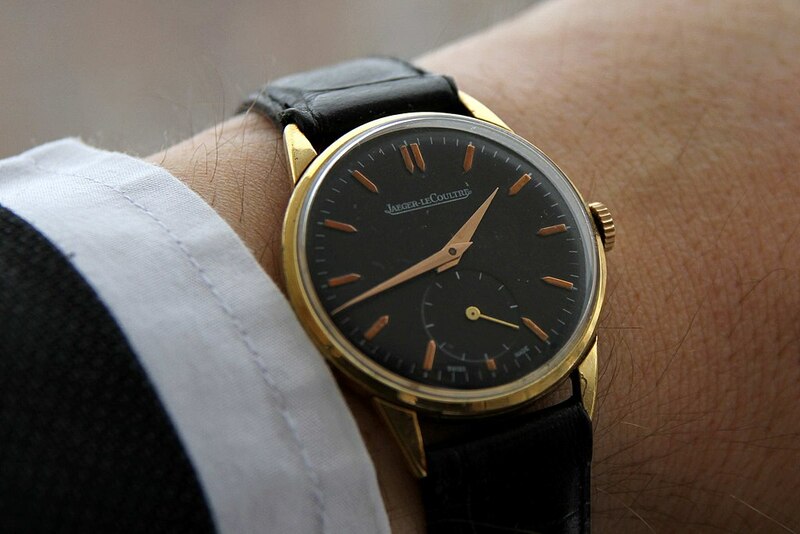 Jaeger-LeCoultre equipped the 2012 model with a Plexiglass watch glass, similar to the original model, reinforcing the nostalgic character of the watch. However, the brand elected to use Superluminova for the hour markers and hands, avoiding the radioactive materials used in bygone times. Subsequently, the brand launched the Deep Sea Chronograph, featuring the Calibre 758, self-winding movement. This handsome watch features a column-wheel chronograph delivering a stutter-free start to its stopwatch function and a silky-smooth feel to its push pieces. With a vast array of models available, Jaeger-LeCoultre offers some superb choices for the discerning watch buyer. In some instances, pre-owned models provide tempting opportunities for the would-be collector to acquire a fine watch for significantly less than new, especially when housed in noble metals such as gold and platinum. Blowers Jewellers stock a range of Jaeger-LeCoultre models including the Reverso, Master, Master Extreme, and Duometre. Looking for a specific model? Get in touch and we will endeavour to source it for you. Browse our selection of Jaeger-LeCoultre watches today.